123 thai is a Thai, Fast, and Healthy restaurant where most Menuism users came for a meal on the go, paid less than $10, and tipped between 15% to 18%. A Thai chowhound from Silverdale, WA tried it, liked it, and rated it . They liked the food, liked the service, and didn't like the ambiance. A Thai chowhound from Port Townsend, WA tried it, liked it, and rated it . They liked the food, liked the service, and liked the ambiance. A Thai chowhound from Bellevue, WA tried it, liked it, and rated it . They liked the food, liked the service, and liked the ambiance. A diner from Seattle, WA tried it and liked it. A Thai chowhound from Seattle, WA tried it. A dining patron from Seattle, WA tried it and liked it. 1 review of 123 thai, first by sandras2. 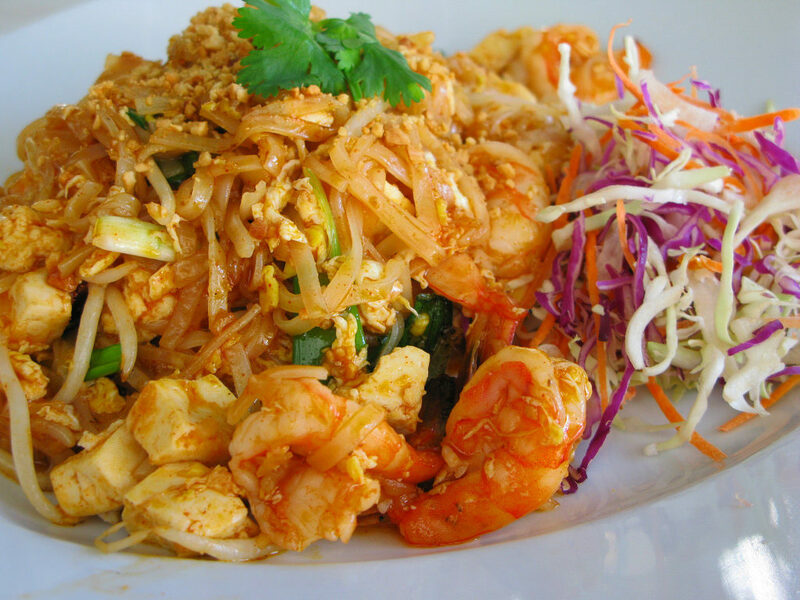 Very good fast consistent Thai dishes prepared to order using fresh food and pre-prepared spice mixes. Eat in or take out, the food comes quickly and most entrees are the same reasonable price. Several appetizers and a few desserts (black sticky rice w/coconut cream!). One or two lunch specials are often availble: fresh spring rolls, etc. Do you own 123 thai? Contact us to connect with your diners. People found this by searching for: 123 Thai Port Townsend Menu, 123 Thai Port Townsend, Thai 123 Port Townsend, 123 Thai, 123 Thai Menu, 1 2 3 Thai Menu, 1 2 3 Thai Port Townsend Menu, 1=2=3 Thai Port, and One Two Three Thai Port Townsend.